Fawad Ch. Demands The Queen Returns Koh-i-Noor Diamond To Pakistan And Farigh Indians Really Need A Hobby! Kohinoor literally means Mountain of Light. It is a large, colorless diamond tipping the purity scales at nearly 108 carats. Found in Southern India in the early 14th century, the Kohinoor diamond has been equally claimed by India, Afghanistan and Iran, besides Pakistan. 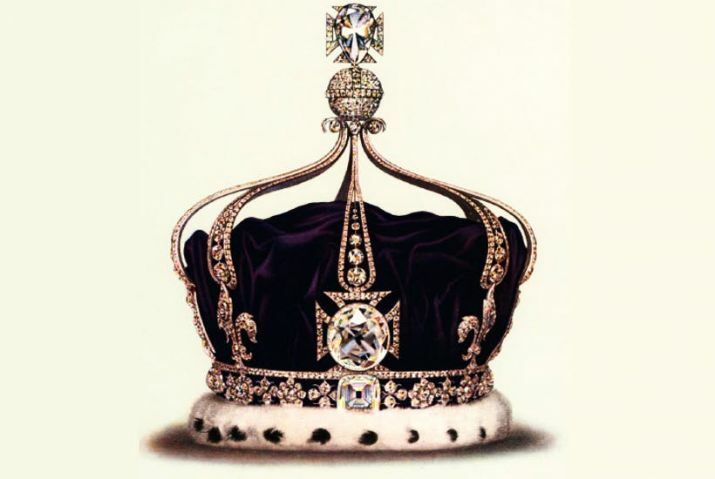 The precious diamond has been part of the British crown jewels for the past 150 years. The gem, which fell into British hands during the colonial era, is the subject of a historic ownership controversy. The famous diamond has witnessed the rise and the fall of empires across the Indian subcontinent since its discovery. 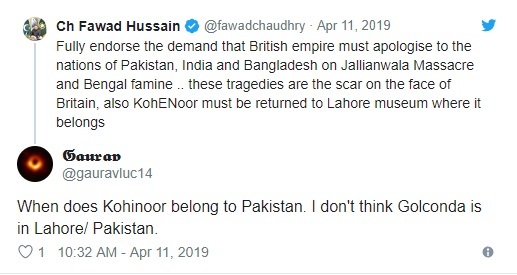 Mr. Fawad hastened to Twitter to respond to British Prime Minister, Theresa May’s comments when she expressed regret for the incident by British troops in India in 1919 in Jallianwala Bagh. But, she fell short of a complete apology in an event when as India prepares to mark the 100th anniversary of the genocide. The then figures depict the loss of life of 400 men, women and children, but the Indian figures are close to 1000 casualties. Plz read out aloud, although we can hear you..!! Indians really need to chill and it’s certainly not okay to speak in between. We’ll just have to wait and see whether or not we get back the Koh-i-Noor! What do you guys think? Let us know in the comments below!